Extensive range of M Performance Parts for the new BMW X5 as Original BMW Accessories. BMW M Performance Parts and Original BMW Accessories at 2017 SEMA Show in Las Vegas. Today BMW debuts the M Performance Parts for the all-new 2018 BMW M5, the quickest most technologically advanced M-vehicle to date and it is show cased at the BMW booth at the 2017 SEMA Show in Las Vegas, Nevada. BMW’s Ultimate Driving Experience, a Six-City Nationwide Driving Program to Kick-Off on April 13-23 at MetLife Stadium in East Rutherford, New Jersey. BMW is back with the Ultimate Driving Experience, a six-city nationwide driving program that will provide consumers with the opportunity to get behind the wheel and experience the full BMW lineup. BMW M Performance Parts and Original BMW Accessories at 2016 SEMA Show in Las Vegas. BMW will present the extensive range of new M Performance Parts and Original BMW Accessories at their booth inside the lower South Hall (Booth 40247) at the 2016 SEMA Show in Las Vegas, Nevada. BMW M Performance Parts Teaser Pictures at 2016 SEMA Show. At the 2014 Chicago Auto Show, BMW of North America today announced that just four months after the new third-generation BMW X5 arrived in US showrooms, it will offer a full complement of BMW M Performance Parts. BMW M Performance Parts for the M5 Sedan, M6 Coupe, M6 Convertible and M6 Gran Coupe. BMW today announced the US launch of a new line of BMW M Performance Parts developed specifically for BMW M5 and M6 models. BMW M Performance Power Kit Now Available for 2012 and Later BMW 335i Sedan. BMW today announced a new M Performance Power Kit for the 2012 model year and later BMW 335i Sedan and 335i xDrive Sedan models. BMW today announced the release of a second major wave of BMW M Performance Parts designed and tested for the new BWW 3 Series and current 5 Series Sedan models. BMW Introduces BMW M Performance Parts for the 3 and 5 Series Sedans. BMW today announced new BMW M Performance Parts specially designed for the new 2012 BWW 3 Series Sedan and 2011-2012 5 Series Sedan. M genes as standard: the BMW M Performance Automobiles. 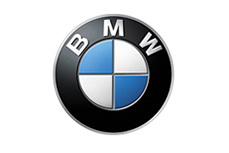 In spring 2012, BMW M GmbH will unveil a new product range for drivers seeking a particularly sporty driving experience, yet who also value the familiar comfort and practicality of BMW models. Now, more invigorating horsepower and torque, is available with two new power kits bring crisp stimulating performance to the Ultimate Driving Machine. BMW M Performance Parts at Circuit of the Americas in Austin, TX.